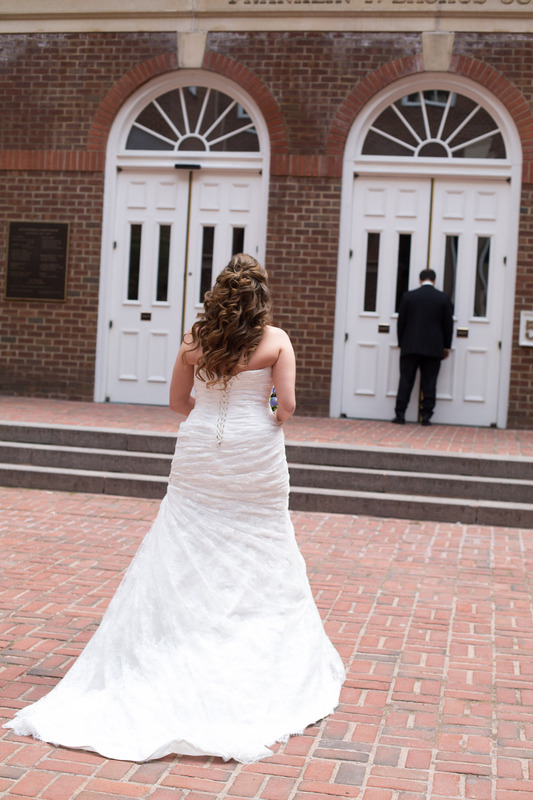 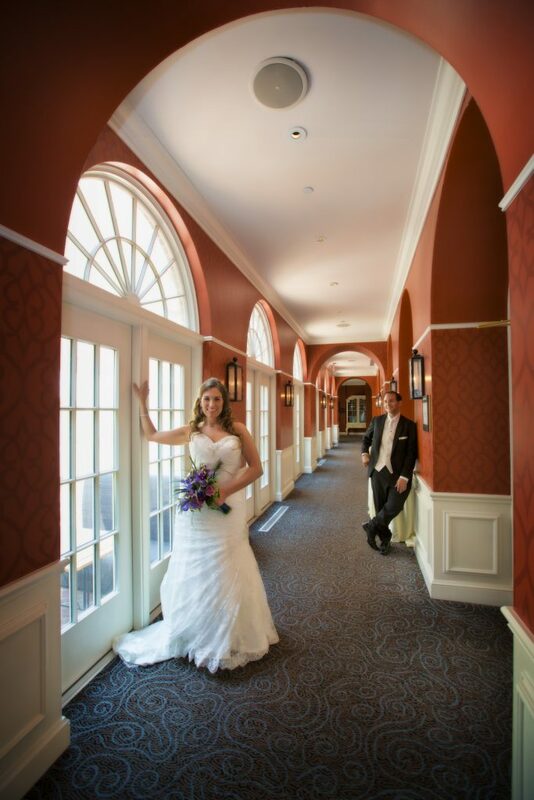 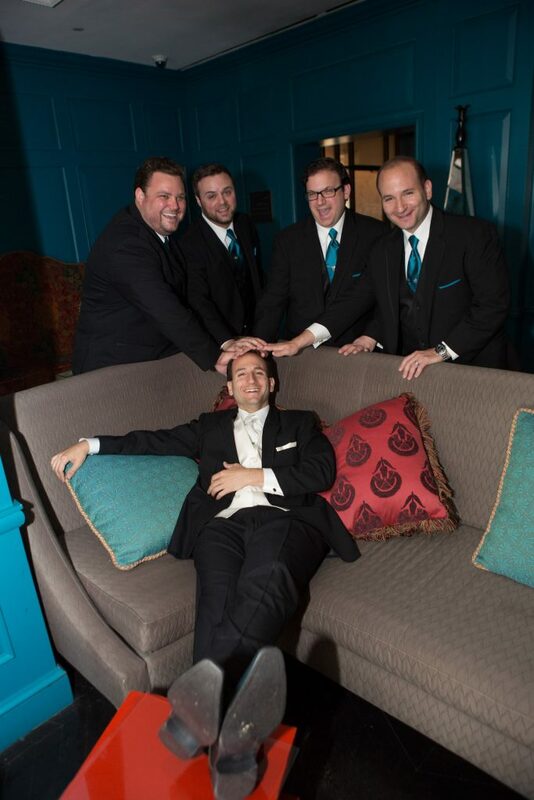 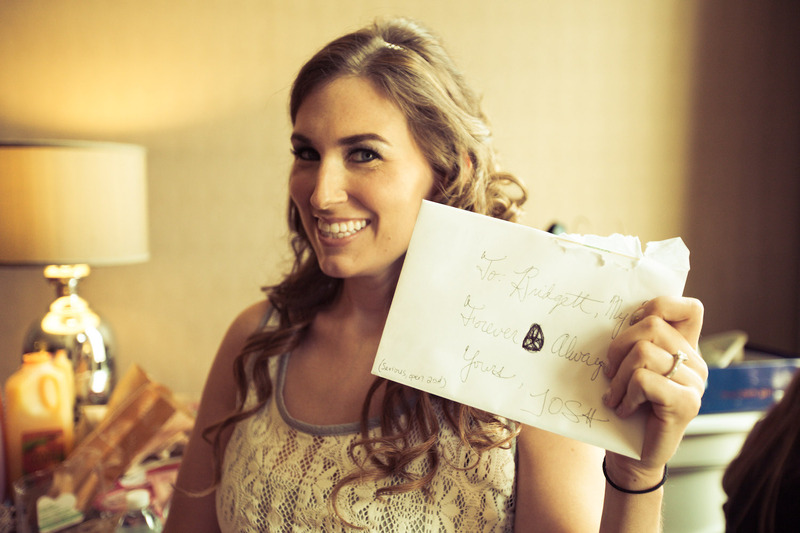 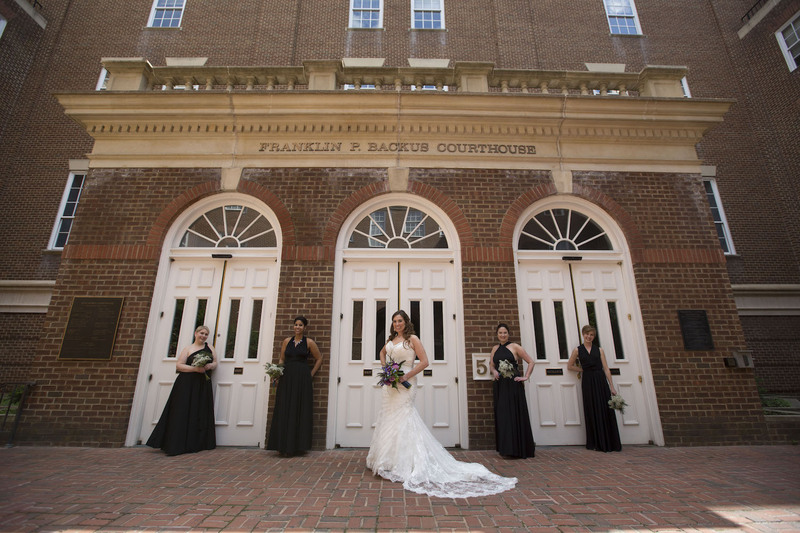 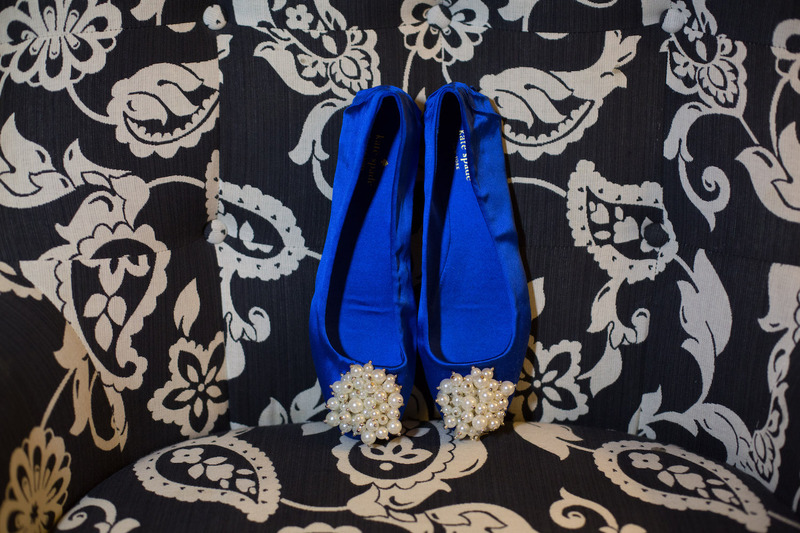 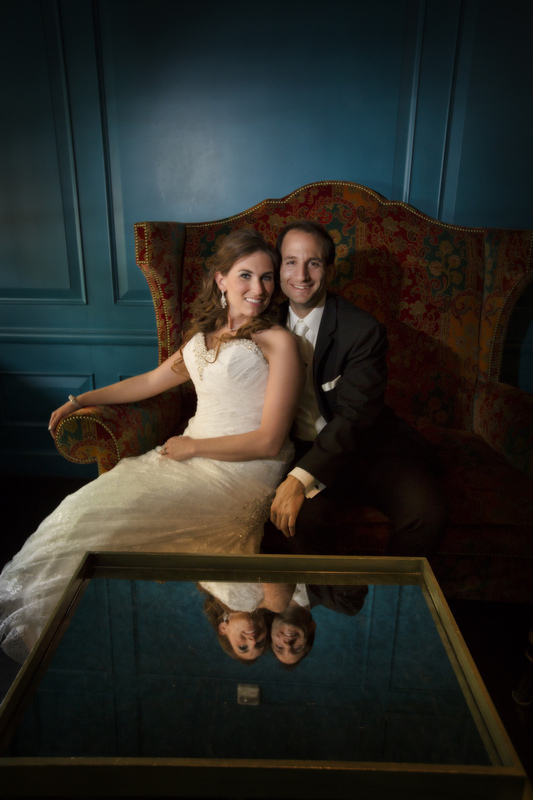 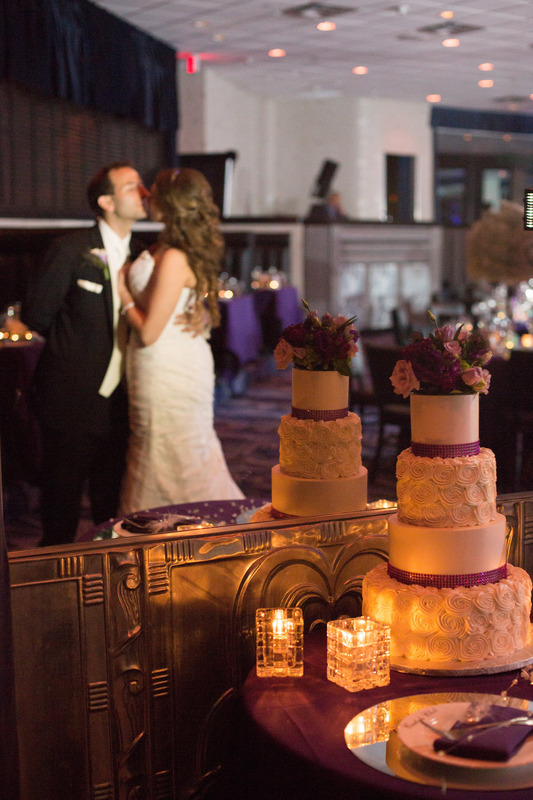 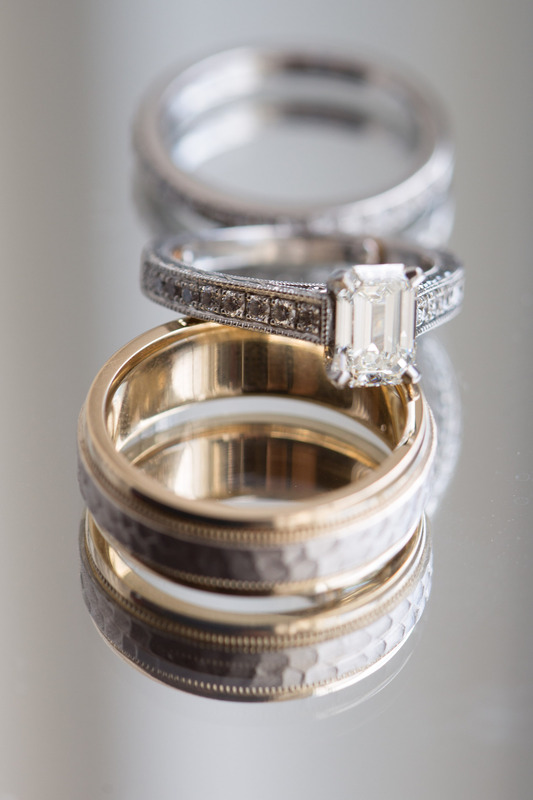 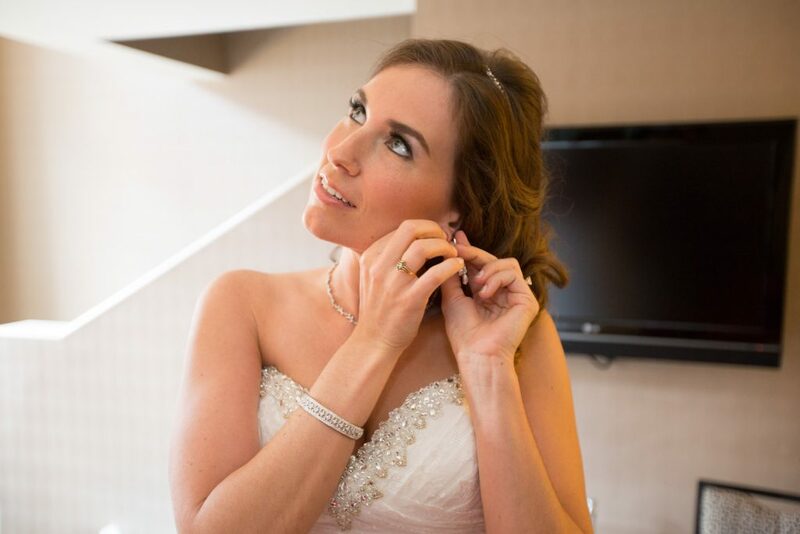 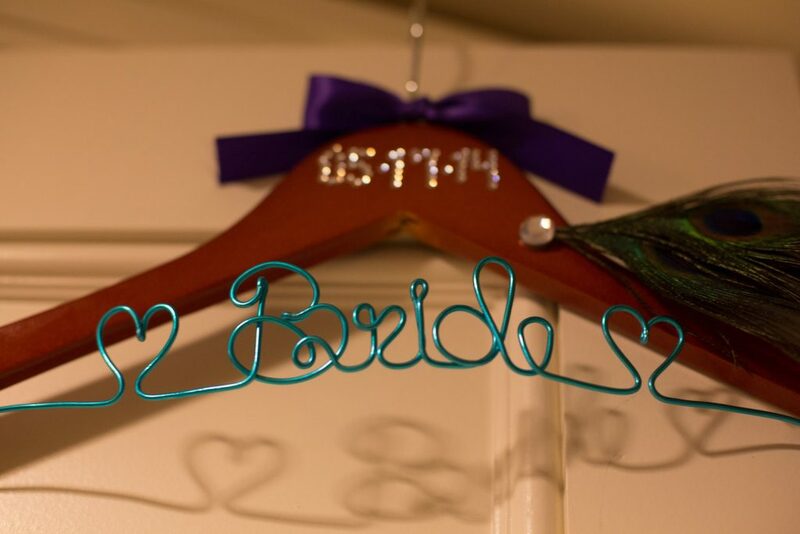 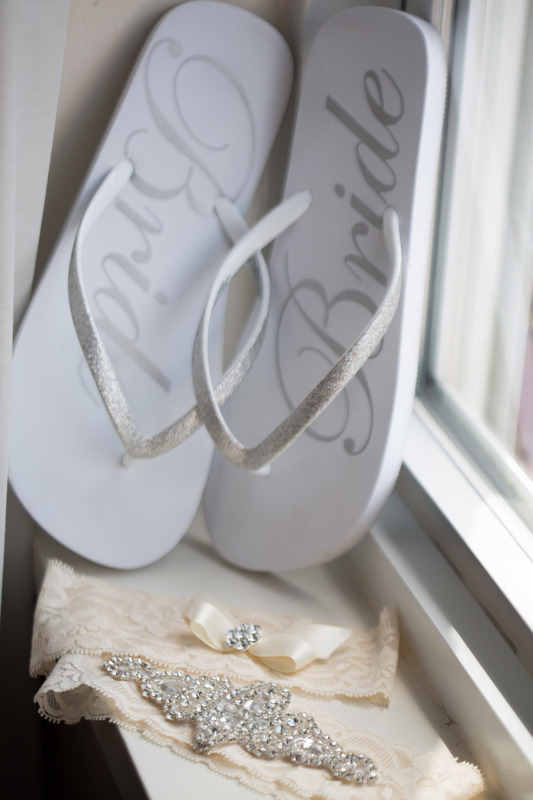 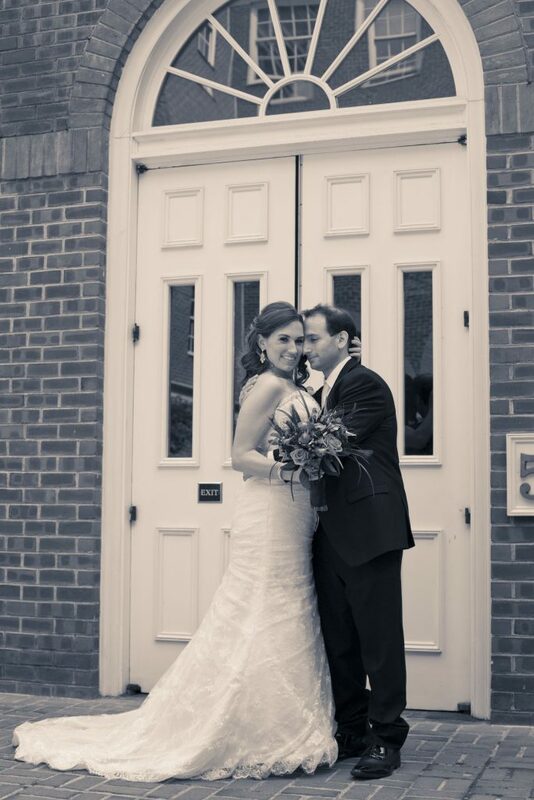 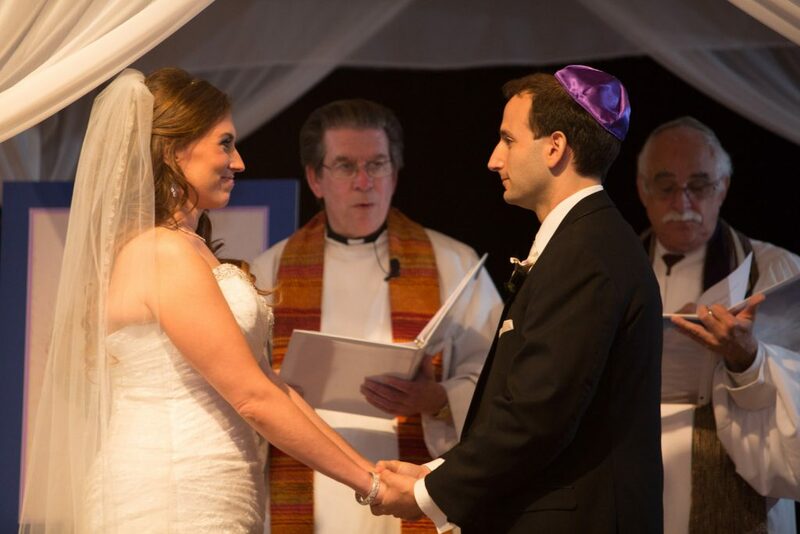 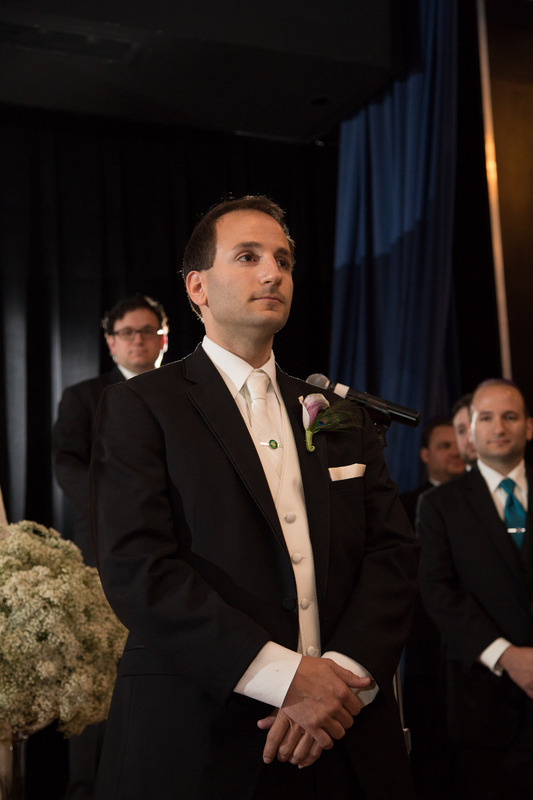 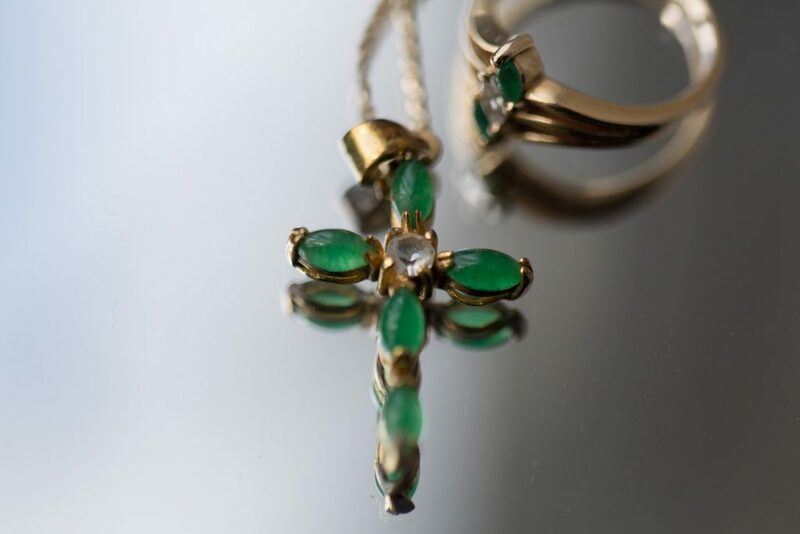 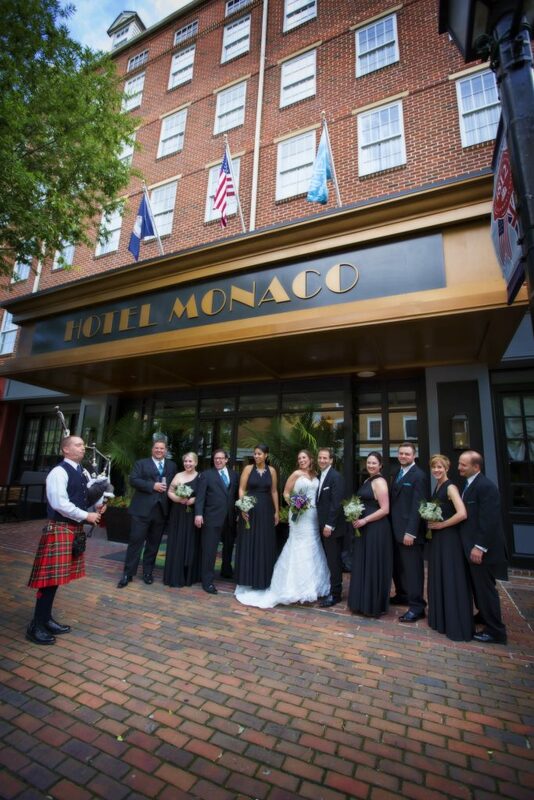 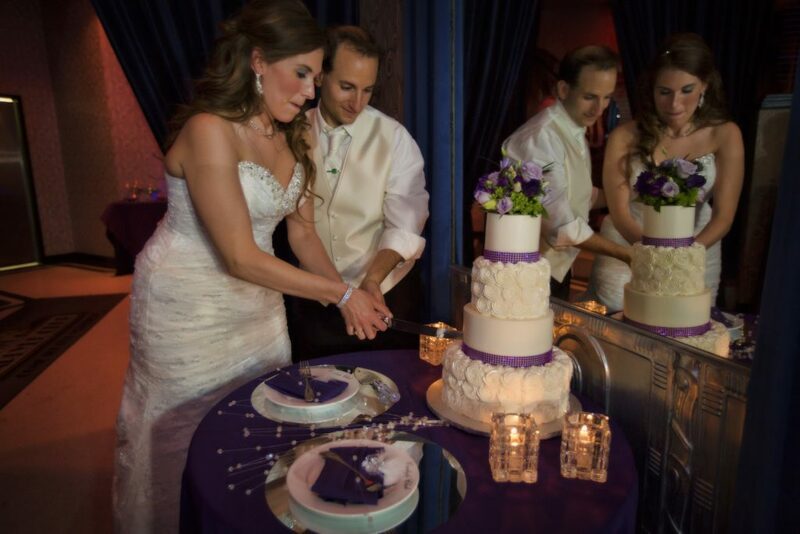 Bridgett and Joshua had a classic Jewish wedding at The Carlyle Club in Alexandria, Virginia. 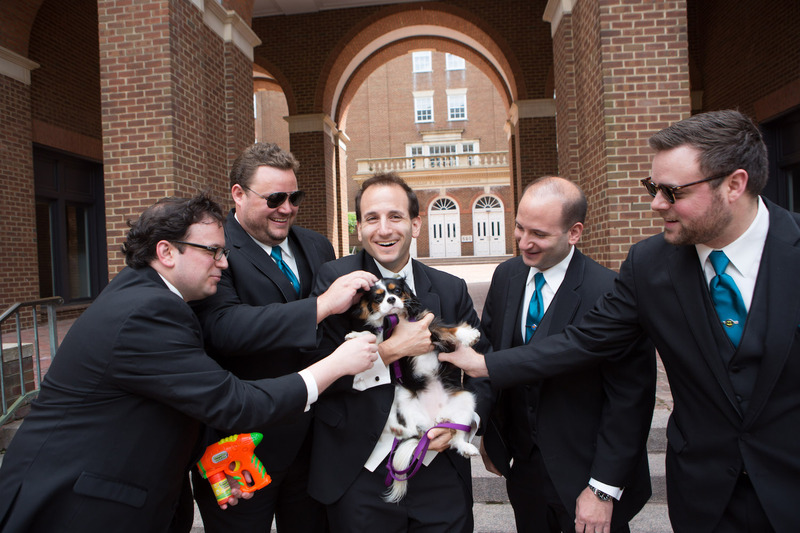 Featuring their adorable puppy joining the groomsmen, this wedding was full of smiles and silly giggles. 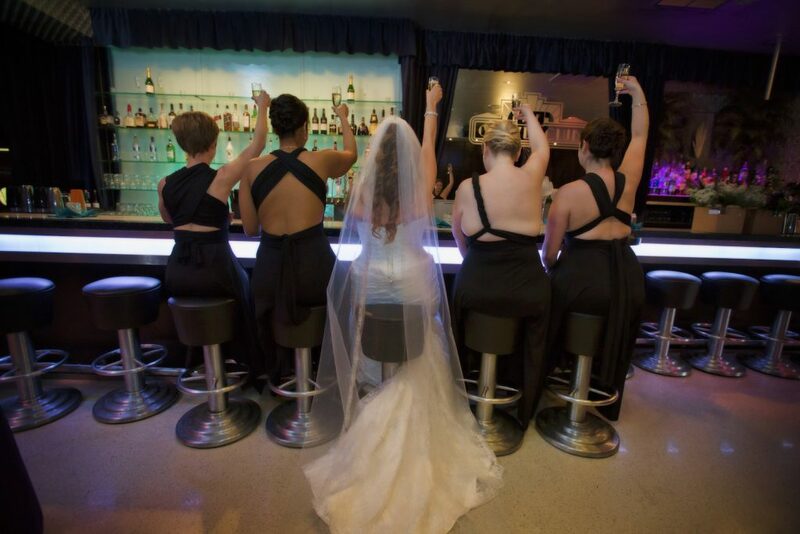 The bridesmaids wore little black dresses, something we’re seeing more and more. To complement, the bridesmaids had white and green vintage style bouquets. 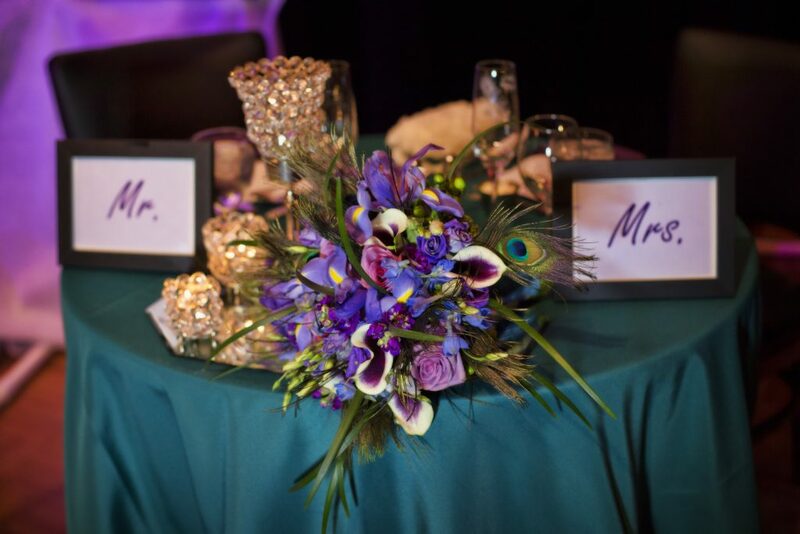 Bride Bridgett had a palette of bright and dark purples for her flower bouquet with a touch of peacock feathers. 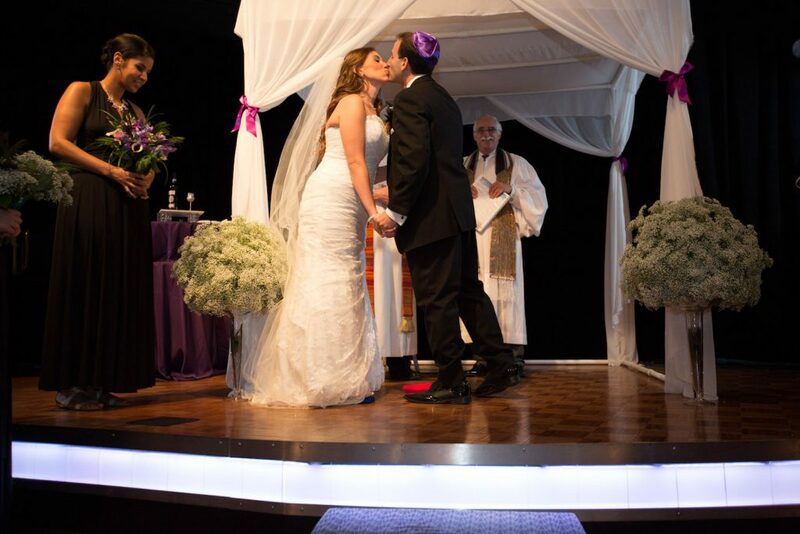 to match Joshua wore a purple kippa while the wedding reception linens were peacock green and purple. 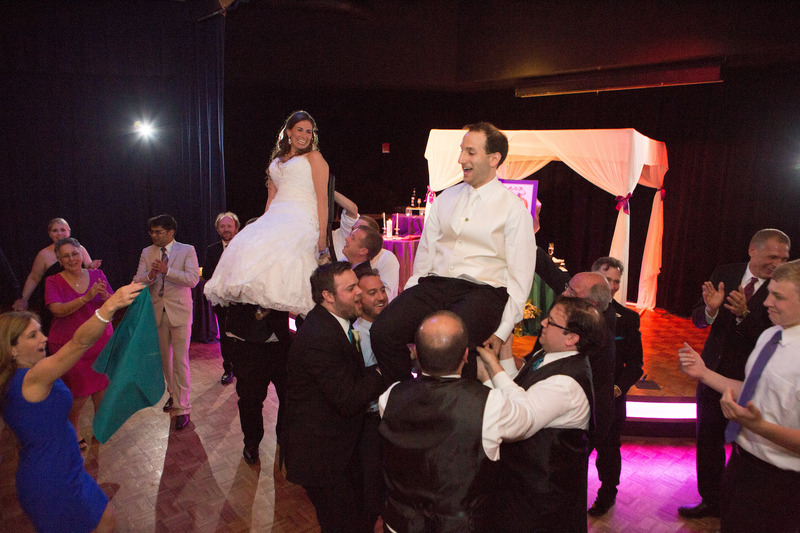 This entry was posted in Classic Jewish Weddings, Real Jewish Weddings.